NIAG’s trimodal port terminal in Orsoy operates 365 days a year, 24 hours a day, with qualified personnel and it can offer you flexible transportation and logistics services from a single source. Situated right on the river, between Rhine kilometer 793.8 and 794.5, the port provides swift handling of ships’ cargoes that is largely independent from the water level of the River Rhine. 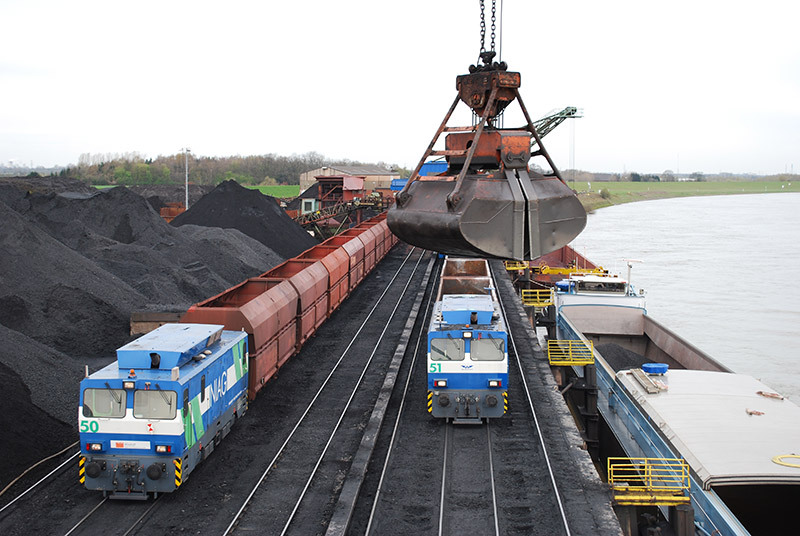 The three crane facilities with a lifting capacity of up to 30 metric tons allow the simultaneous loading or unloading of multiple barges and trains. This means that up to three million metric tons of cargo can be transshipped annually. The dispatch of trains to the port terminal is performed in a totally flexible manner via the company’s own NIAG Railway that offers regional or pan-European delivery of loaded complete trains. Inside the port area, there are various transshipment facilities, two switcher units, plus three separate, double train length tracks with integrated track scales available for the processing of the trains. The storage of goods takes place on a 65,000 sqm storage area that can be customized according to individual requirements of the stored products. Motor vehicles can reach the terminal in merely minutes from the autobahn exits of the federal freeways BAB 42 and BAB 57. Benefit from our decades of experience in the field of dry bulk goods and let us create a customized logistics concept tailored to your needs to optimize your logistics processes.